This week’s practice is inspired by the serene beauty of the ocean and the effortless way the tides flow in and out. The natural beauty and power of the ocean can serve as inspiration to stay grounded in who you truly are. It also has a way of evoking gratitude for the many blessings and miracles there are in life. At some point during your life’s journey, the seas may get stormy. This is often when it becomes useful to have a focal point and reminder of who you are and how wonderful life can be. When we can come to a place of being grounded and focused on the good, it becomes more natural to feel better about ourselves and others around us. What we focus on becomes our way of feeling and being. For many of us, it isn’t always a simple task to switch off our thoughts and to be fully present in the moment before us. When we replay conversations, fears, and past experiences in our head, or when we spend too much time worrying about the future, we are not present or grounded. When we get caught in this cycle, we can often relive uncomfortable feelings from the past, or worry too much about a future that may never happen. Much like the rhythmic ebb and flow of the ocean tides, it is extremely helpful to focus on steady, deep breathing as a way of pulling out of these persistent and destructive thought patterns. 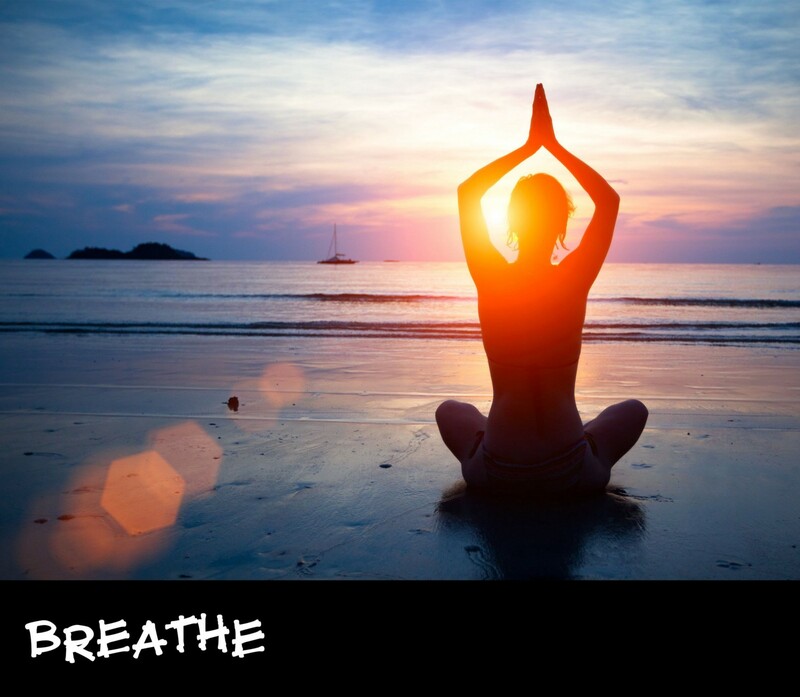 Breath is something every one of us can access at any time in our day. It is such a simple yet powerful way to release tension, to get present and to re-connect with who we are at our core. This week, try this simple exercise throughout your day. It could be during times of heightened tension, or at predetermined times in the day to start developing this tool as a habit. •Take a deep, intentional breath in, hold for the count of 4 and then focus on exhaling slowly. •Repeat this process until you find quiet space. Having quiet, “present” space will create a feeling of ease. Over time, and with practice, it will feel more natural to access your breath as a way of grounding you and releasing tension. I have found using breath like this gives me the room to consciously redirect thoughts and feelings in a way that will build me up instead of break me down. I recommend mindful breathing as a way to boost your mood and overall level of happiness. It is my key ingredient for setting the stage to fall in love with life. Try it on for size this week to see how it fits for you. This weekly practice is brought to you from Week 1 of Emily Madill’s E-Course: Fall in Love With Life. To learn more about how you can join Emily’s course and growing #LovingLife community watch the video BELOW or visit her school. Hi, I’m Emily. Thanks for reading this post. If you like what you read — be sure to click recommend❤️ below.